Ride On! | Ride On! 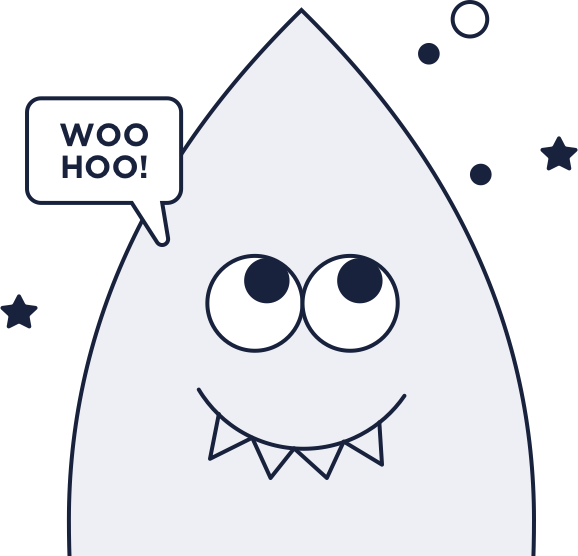 We offer a carefully selected mix of the latest and most popular children’s rides, featuring the world’s best brands loved by parents and kids alike. Ride On! has been operating within the Australian market place since 1977 and are the only national Kiddie Ride operator. Whether Ride On! 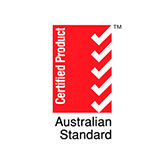 is manufacturing or purchasing finished rides, it adheres to a strict set of criteria & safety standards. All equipment supplied by Ride On! conforms to the AS3000 & AS3100 Electrical Standards and the AS3533 Standards for amusement rides and devices. 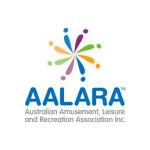 Ride On has been certified by the Australian Amusement Leisure and Recreation Association (AALARA) AM-SAFE Risk Management program since 2003. All our technicians are highly skilled and visit each ride on a regular basis for routine servicing & compliance checks. Ride On! 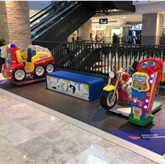 has developed a range of ride presentation formats allowing your centre to feature kiddie rides in a manner that fits with the design and aesthetics of each of your unique precincts. 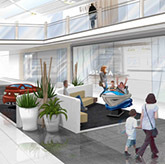 Today, as we see continued investment in centre modernisation and refurbishment programs it has forced a rethink about how best to place rides, such that they remain an important source of entertainment for families, and an income generator for your centre, whilst fitting into the desired aesthetics that surround them. All our entertainment areas are custom designed to match the aesthetics of your centres and are built highest quality materials and components available. 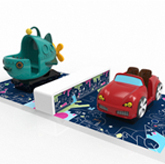 Unique “light” benches and walls that double up as interactive gameplay will amuse and delight parents and children. Unique designs are integrated into the existing landscape to enhance otherwise dead areas, incorporating additional features. 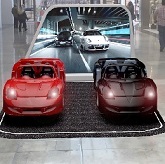 With the evolution of shopping centres, and the changing nature of the retail environment, we are continuously innovating and delivering solutions to our clients.